Amber Strickland is a senior associate who helps clients to avoid the cost and business interruption involved in a regulatory investigation by advising on compliance with the requirements of legislation. In the event of an investigation, a prosecution or an inquest following a fatality, effectively defending and representing clients to ensure an outcome which reduces adverse reputational consequences, and minimises costs, is crucial. As well as defending breaches, Amber has focused in particular upon compliance with legislation on construction sites. For example, Amber has provided tailored training to each of the duty-holders under the Construction (Design and Management) Regulations 2015 respectively. Amber has assisted clients in respect of regulatory investigations, in advance of them having been asked to provide a statement under caution and subsequently when they have been invited to attend an interview under caution. 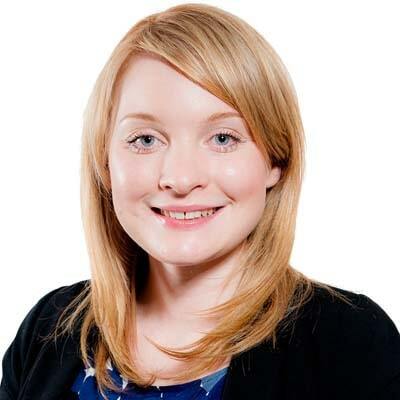 Amber has successfully guided a number of clients through the inquest process for example, following fatalities on construction sites, death in prison and deaths in care homes or assisted living facilities. Amber has acted as an advocate at Inquests and has protected clients from conclusions at the Inquest which could give rise to adverse publicity as well as inferences which could be used in civil claims and regulatory prosecutions against the client. She has taken a commercial approach to the defence of an international frozen food producer against a number of product liability claims which could have resulted in a loss of consumer confidence which would be damaging to the brand. She ensured that the cost of claims were minimised and any negative publicity avoided. She has also reviewed their Customer Care Line process scripts and template letters in order to avoid ambiguity around admission of liability. She has provided an international supply chain consortium with practical advice on compliance with the Global and European regulations in respect of the carriage of dangerous and hazardous materials by sea and air. She has assisted a multinational oil and gas company in their review of over 100 health and safety policies covering an international region. She advised on the relevant industry standards and any gaps in their health and safety documents as well as areas of non-compliance to ensure risks were covered off. She has successfully represented contractor clients against claims for damages following personal injuries on construction sites, including negotiating persistently and aggressively in order to achieve a settlement which was far less than the estimated value of the claim. Amber is a member of the Birmingham Legal Advice Clinic which provides free legal advice to those in the community who might not otherwise have access to it. Providing an international supply chain consortium with practical advice on compliance with the Global and European regulations in respect of the carriage of dangerous and hazardous materials by sea and air.